First, more women in the labor force will expand labor supply. 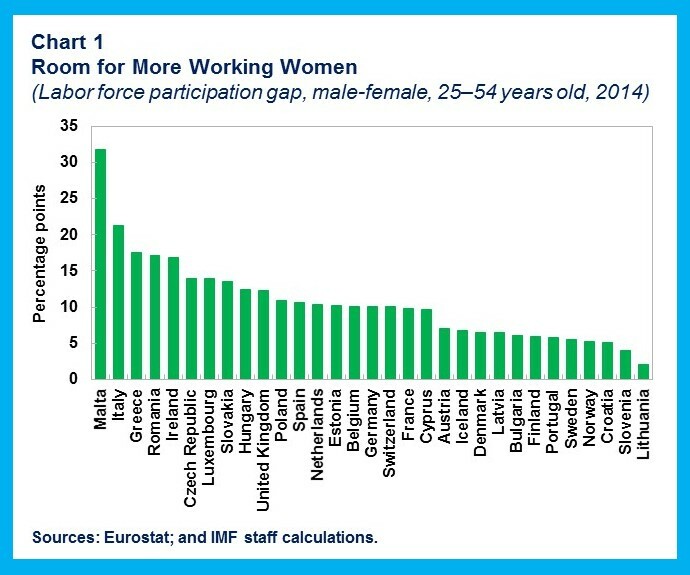 If women choose to participate in the labor market as much as men do, Europe’s workforce could increase by 6 percent. If they also choose to work as many hours as men, the workforce could grow by as much as 15 percent. Second, the prevalence of full-time female employment is a strong predictor of the share of senior corporate positions held by women. 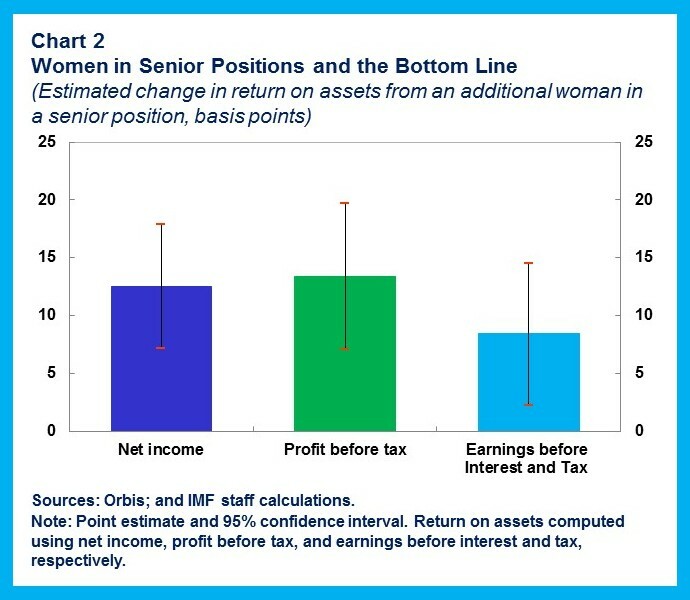 And more women in senior managerial positions and in corporate boardrooms, the IMF staff study confirms, is associated with stronger firm financial performance, which would help support corporate investment and productivity, further mitigating the slowdown in potential growth in Europe.